Across the pieces on this album, and on many of Andy’s compositions, there are solos of such lyricism that they seem to have the phrasing of speech. Indeed, he has previously talked of ‘singing through the saxophone’, so I ask if he imagined the pieces with words. “I don’t usually think of words when I’m playing. I love to play in a horizontal way, to try and find a line that moves through chords that has a melodic sense. And I try to make every note count. But I don’t really know what goes on. I mean you practice and you kind of develop. You keep opening your ears more and you just play. You try and play the best way for the sounds that surround you at that moment in time, on that structure and you create a new melody, a new feeling in the music. I mean that’s the problem with some Standards, or Broadway hits or Cole Porter songs or all these wonderful tunes: the melodies of those tunes are so fantastic and the chord sequences are great to improvise on, but the actual tune is so great that it is hard to better than with a solo because the melody is so fantastic in the first place. But I guess the idea of soloing is deconstructing it, is infusing it with energy, is communicating what is this thing ‘music’ to your audience and to your other band members, and this magic thing can happen in that moment in time which is the unfolding of somebody’s solo.” Given his proficiency on both soprano and tenor saxophone, I asked whether, when writing, he had a specific voice in mind for the tenor or soprano saxophone. “You know if this tune is going to be a soprano tune or a tenor tune. Because they’re different colours and have different feeling altogether. Although sometimes I experiment and I think, you know what, maybe if I change the key of the tune, put it on a different horn a wonderful thing would happen. And usually I go back to the first horn. I mean you kind of, you write for instruments and musicians. I guess I try to write to put my sound, my instrument in the best possible light. I’m trying to write for myself to make myself sound better than I am…” At this point, Sara interjects, "I bet that’s not true". 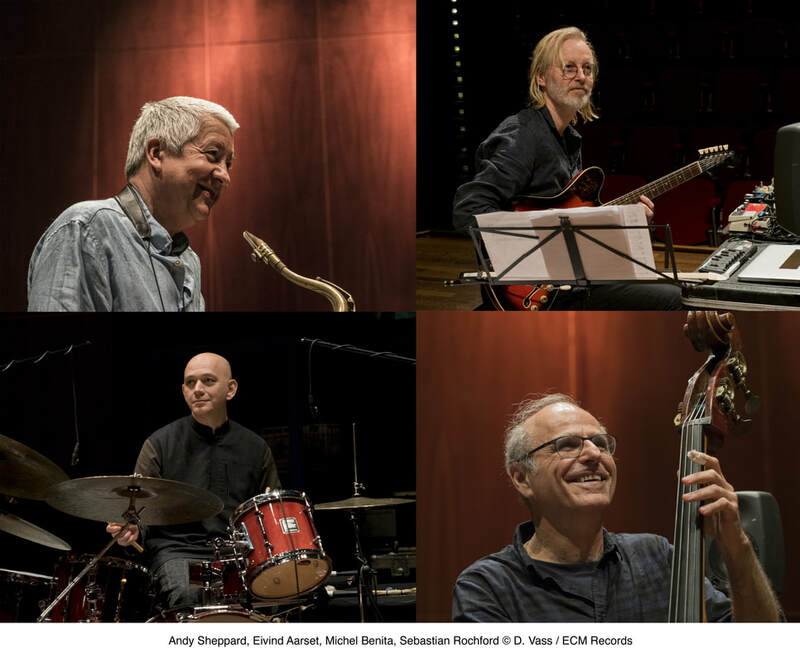 For more information visit ECM Records and Andy's website.